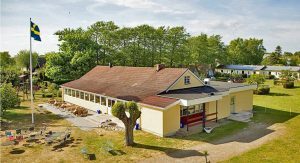 Our next event will be a regional Scandinavian conference at Nybostrand camping by Trelleborg, Sweden, September the 6th to 8th 2019. The conference site is beautifully situated at the Baltic see, on the southernmost tip of Sweden. The next international conference will take place in Eisenach, Germany, on September the 10th – 14th 2020.